We’d love your help. 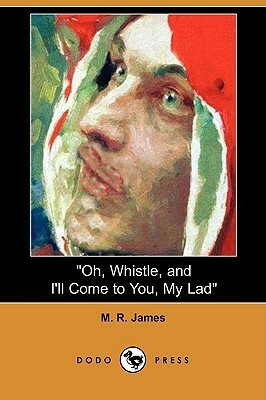 Let us know what’s wrong with this preview of Oh, Whistle, and I'll Come to You, My Lad by M.R. James. When Professor Parkins finds an old whistle, his stay at Globe Inn takes a turn for the eerie. To ask other readers questions about Oh, Whistle, and I'll Come to You, My Lad, please sign up. I’m sure everyone has woken in the middle of the night and had a fright from something that in uncertain light and various shades of shadows looked like a creature or person was in the room with you. I remember waking up during those most uncertain hours between midnight and 2AM, and I saw a man, rather large, striding across the room towards me. I was caught in that crucial, but nebulous moment of fight or flight, which left me paralyzed. My mouth dropped open to scream, but nothing came out except a squeak, which was far from the roar that my brain had sent scurrying down my nervous system to deploy. Lightning flashed, and it was only then that I noticed it was a shirt swaying on a hanger on the back of my bedroom door. I was living in Tucson at the time and frequently left windows open at night to take advantage of the cool breezes that would come off the desert. It was the beginning of monsoon season, and a storm had come in with a stiffer breeze than normal that gave the shirt life. Despite alerting all the various parts of my body that we were not in mortal danger anymore, it took several long seconds for my muscles to let go. When I could move, I shut the window and hung that shirt in the closet, where it damn well belonged. The lingering embarrassment of being so fooled kept me company for a few days. Of course, Parkins does not want the company, but he is also offended at the mention of ghosts. They don’t exist after all, so there is no need for any consideration to be given to them. Professor Disney asks him if he could step off the size of a potential dig site of the Templar ruins of interest to the department near the Globe Inn where he will be staying. Parkins begrudgingly agrees to help. He plays golf and bridge once in Burnstow, but it is easy to see that those are the things he does an obligation to being on vacation, when if the truth were known, he’d just rather be locked up alone with his books. He does take some time to go scout this Templar ruin, mainly because he had a bad day of golf and needed to clear his head. In the course of his wandering about the site, he finds a bronze whistle. He takes it back to his room and cleans all the caked mud out of the stem. There are Latin inscriptions on the side. "Quis est iste, qui venit?" which Parkins translates as "Who is it that comes?". The second inscription meaning eludes him. Of course, once a man cleans out a whistle he has...to...blow...it. Little did he know he was summoning something he doesn’t believe can exist. This is my first M. R. James and certainly will not be my last. This is a gothic, atmospheric piece, so the plot is moving at a slow burn pace, but as Parkins starts to access and process the odd things that are happening around him, he begins to understand that the real world might extend into realms he is unwilling to believe in. I was fooled by movement in uncertain light, but Parkins is in for something rather more alarming. Reading it was most amusing as I was, only yesterday, watching the 1968 BBC adaptation of the story. I am deficient as a human being, somehow, as James's "creepiness" whizzes past me and leaves no trace on my creeper. The story is, as a story, delightful and James is, as a writer, mannered yet quite readable. This was classic M.R. James. It made my hair stand on end. Отличная готика, только, увы, мои жаждущие ужасов студенты ее еще не потянут, отложу до следующего года. I don’t want to spoil its thrills by saying much about it, but I’ll say this: if you have ever disturbed, in the growing dark, by the shape of crumpled bed clothes, then this is the tale for you. Three other things: 1) Our protagonist Perkins’ area of specialization (Ontography) is ironic, for “ontagraphy is defined as “that division of geography which is concerned with the responses of organic beings to their physiographic surroundings or environment,” and Perkins own “responses” to his “physiographic surroundings” nearly get him killed, 2) the character of Colonel Wilson is artfully used for comic relief, and 3) Fritz Leiber took the basic idea of this story, altered it slightly (books not bedclothes), and exploited it to great effect in the climax of Our Lady of Darkness. 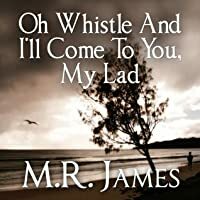 This is the best MR James story that I have read so far. I had already seen the BBC television version starring John Hurt, but the story is even better. Bedsheets have never been this scary! An essay in Michael Chabon's Maps and Legends titled 'The Other James' refers to this M.R. James ghost story as "one of the finest short stories ever written," high praise that couldn't help but prompt me to read it. And I did enjoy it, although I wouldn't say it was among my favorite short stories, let alone the finest ever written. It reminded me a great deal of William Hope Hodgson's Carnacki, The Ghost Finder. I wasn't really expecting much out of this audiobook since I had got it for free, what with being an audible.com member but I ended up enjoying it. I thought the voice of the narrator really suited the plotline of the book. It ended up really sucking me into the book I could not stop listening it, even though it is only less than an hour long, it makes it perfect as you can sit and listen to it in one take. This short story came very well recommended by a gentleman (there was no other way to describe him, really) of many winters as well as a girl in her mid-twenties. Well, I thought, if a text spans a gap like that and comes out on top, surely it's worth a look. The first thing that struck me about the story is that it is very well written and very classically crafted - and so made me feel immediately impatient. The opening few pages take the form of a pretty stilted conversation between the protag This short story came very well recommended by a gentleman (there was no other way to describe him, really) of many winters as well as a girl in her mid-twenties. Well, I thought, if a text spans a gap like that and comes out on top, surely it's worth a look. The first thing that struck me about the story is that it is very well written and very classically crafted - and so made me feel immediately impatient. The opening few pages take the form of a pretty stilted conversation between the protagonist, Professor Parkin, and his peers at a university dinner (banquet) table. The scene definitely manages to establish Parkin's personality (which is satisfyingly rather unlikable, at first), but it does read stiffly and unnaturally, having the unfortunate effect of coming across as quite Literary. But this is the only thing that I found even a little tedious about the story. The rest of the narrative is very atmospheric and engaging, drawing you in in the way a good ghost story should. The, shall we say, "vision" sequence that is described when Parkin closes his eyes one night is one of the best and most eerie scenes I have ever read - the description came to life in my mind instantly and I absolutely relished it, seeing it as a moving painting or spine-tingling zoetrope (specifically, it put me in mind of the type of fast-moving, unsettling and almost stop-motion filming style that was used in the old King Arthur film - although I forget what the method and film are actually called). Lets just say that I had to be accompanied around the house for the rest of the evening. I first watched the TV adaptation on the BBC as part of a Christmas Ghost story collection years ago with Michael Hordern in the lead role, as a child it was very creepy. This Audible audiobook version of the classic short story with David Suchet narrating it has been rendered less creepy by the passage of time, whilst he reads it well enough to give it all the suspense, I feel that the cynical, jaded version of me has spoilt the 'chill' factor. It's still a well written piece that will stand (and I first watched the TV adaptation on the BBC as part of a Christmas Ghost story collection years ago with Michael Hordern in the lead role, as a child it was very creepy. Don't go in one's mouth." James writes marvelous ghost stories of steadily increasing creepiness. this is one of his best. “Oh, Whistle and I’ll Come Back to You My Lad” (1904) written by M.R. James, usually known as a master of the ghost stories, is about a young and superstitious professor who goes on a vacation with the recommendation of his friend. All the events start when he finds a whistle which has Latin characters on and put it into his pocket. After that, we start to witness his beliefs changing towards to the end of the story. 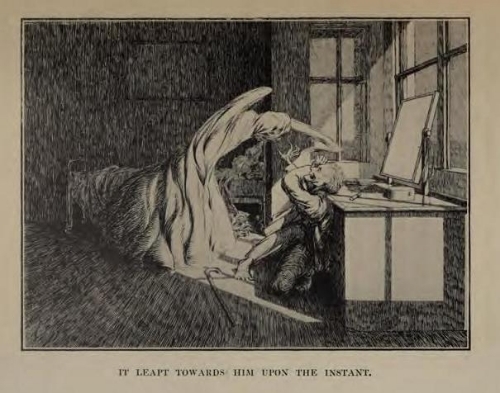 Usually, whistle symbolizes death in the literature which gives us a clue about “Oh, Whistle and I’ll Come Back to You My Lad” (1904) written by M.R. James, usually known as a master of the ghost stories, is about a young and superstitious professor who goes on a vacation with the recommendation of his friend. All the events start when he finds a whistle which has Latin characters on and put it into his pocket. After that, we start to witness his beliefs changing towards to the end of the story. Usually, whistle symbolizes death in the literature which gives us a clue about what will happen later on. The only thing excited about the story is how the ghost appears. And what makes us hooked is professor always refuses to believe in the supernatural even if he witnessed them himself. Our protagonist, Professor Parkins, is round character while his friend Colonel is a flat character. Towards the end, the perspective of the story changes into the first person whereas it was started with the third person. It might be interpreted as writer lived through such a thing as well. The story in general lacks building tension and horror despite its genre. The story’s point from what I understand is that we should be open-minded and never follow anything blindly. And also what seems like a little act to us can cause bigger events like awakening the ghost. If you are fond of ghost stories in general, it’s a must-read for you as it is writer’s most famous short story! But if you are like me, who gets bored easily if there are no deeper meaning and plot twists you should stay away from this short story. Interesting short ghost story. Very atmospheric, but as it is a short story there isn't that much going on in it. Xmas give away from Audible a few years back. Not much good. A good story for halloween time. Audible book - 50 mins, read by David Suchet. I don't have many audio books - the few I do have are ones where I also have the 'hard copy' and therefore I am already familiar with the story. But I have been a little disappointed with a couple of horror stories recently and I though I would give this a try. Suchet does a great job, but even so I found myself struggling to focus on the narration. I am a 'reader' and 'doer' rather than a listener, and I never really got into the story - a result of Audible book - 50 mins, read by David Suchet. Its a fantastic little story which I listened to instead of reading it. The author has the capability of presenting normal details as extraordinary somehow which is a great skill. The result is a captivating and engaging tale of a sceptic professor's first ever ghost experience. I wont spoil with too much details but this is a must read. Oh, whistle and I'll come to you, my lad is the title and refrain of a poem and song by Robert Burns. Great classic spooky short story. The story on it's own, I would give a much lower score. The narrating by David Suchet however, made listening to this story a great experience. Narration gets 5 stars, the story only 3. I quite enjoyed this short story from M.R James' original collection Ghost Stories of an Antiquary. While there is no real connection-- in terms of subject matter-- to the poem by Robert Burns that inspired the title, James interprets these words into a brief but chilling story of Parkins, a Cambridge professor, who inadvertently summons a spirit with the aid of a whistle he finds during a spontaneous archaeological endeavor while on holiday in Burnstow. As soon as Parkins found this whistle, I I quite enjoyed this short story from M.R James' original collection Ghost Stories of an Antiquary. While there is no real connection-- in terms of subject matter-- to the poem by Robert Burns that inspired the title, James interprets these words into a brief but chilling story of Parkins, a Cambridge professor, who inadvertently summons a spirit with the aid of a whistle he finds during a spontaneous archaeological endeavor while on holiday in Burnstow. Perhaps it was the calm manner it was read in, perhaps it was that I was on a sunny walk home but for whatever reason this tale board me. It has none of the suspense and tension I'd expect and was just disappointing. Perhaps I'll pull the print version out for Halloween and give it another go but as an audio thus was a big no no. Wonderful little story, a gift from The Guardian Books Podcast. It was read by the excellent Simon Callow and I was able to read along at the same time. Very atmospheric.